Mostly we use cloves to make dishes very tasty but do you know as much as these cloves make the taste of food more than this is also good for our health.Cloves are packed with properties like antibacterial,antifungal,antiseptic,antiviral etc which are beneficial for many other health related problems in the body likeGestro Esophageal Reflux (GERD),prevention of toothache,cough,asthma, cold,headache,stress and in some blood related diseases.There are many types of minerals found in cloves such as calcium,hydrochloric acid,sodium,potassium,iron,vitamin A and vitamin C.
Use cloves to remove the stench of mouth. Bacteria die in the mouth with cloves,gums and teeth are also healthy. Using cloves improve our digestive systeme and also reduce the problem of acidity,cold,throat infection etc. Cloves contain omega 3 acids, calcium and iron. If there is a complaint of joint pain,use cloves oil.This will strengthen the bones and relieve pain. Drink cloves tea, it will remove your stress. 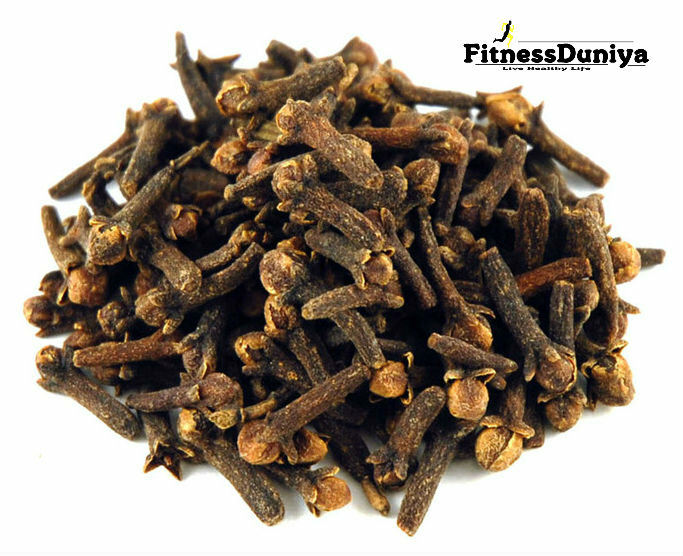 Cloves clean our blood and control blood sugar level. If you have a problem of cough or throat then eating roasted cloves gives relief. Cloves are very beneficial in the treatment of asthma diseases. The consumption of clove increases appetite, this increases the secretion of digestive juices. By eating cloves,white blood cells grow in the body which making the body stronger. Cloves are hot by nature, o take it in a restricted quantity.